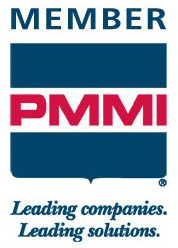 Lazar Technologies is a proud member of PMMI and attends the annual Pack Expo. If you would like to see the latest packaging technology and our newest products then this is a perfect opportunity. Lazar Technologies will be at the Las Vegas Pack Expo 2009. Lazar Technologies will be at the Chicago Pack Expo 2008. Lazar Technologies will be at the Las Vegas Pack Expo 2007. Lazar Technologies will be at the Chicago Pack Expo 2006.